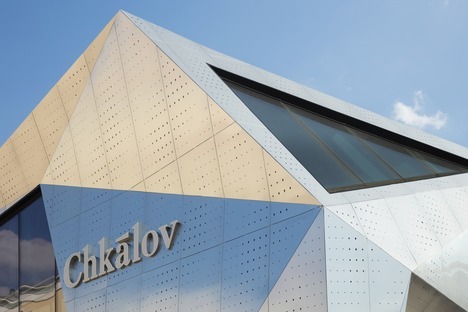 The Chkalov hotel showroom is a prism of perforated aluminium sheeting that provides an attraction for the neighbourhood in which it stands. The Chkalov luxury hotel chain opened a showroom in Moscow because it needed an attractive location in which to interact with the public, an office with an area for the chain’s future projects, with all the spaces necessary for the staff to work in. INDarchitect have made what could have been a perfectly ordinary rectangular building with a number of rooms arranged around a big hall into a little jewel, covered with aluminium and set into the neighbourhood like a precious gem. The volume is sculpted to ensure that the windows are not rectangular but multi-faceted, like polished gemstones, so that they capture light and reflect it back to reveal its aesthetic value. Here too the prism appears to be polished like a gem, alternating inclined and vertical planes, some of which are made of glass while others are filled in with sheet metal, but in this case they are not positioned along blind walls but screen the lighting, creating light effects that give the neighbourhood an exciting new building. The openings are not all the same size, but are different sizes to ensure multiform coverage of opaque surfaces and create an unusual look for this type of façade with backlighting. The whole building has a steel frame, and it was built very quickly, as prefabrication permitted precise planning of every single stage, obtaining a building that appears to be a little jewel set into the neighbourhood, which is also home to the Design ArtPlay district and an important shopping centre. 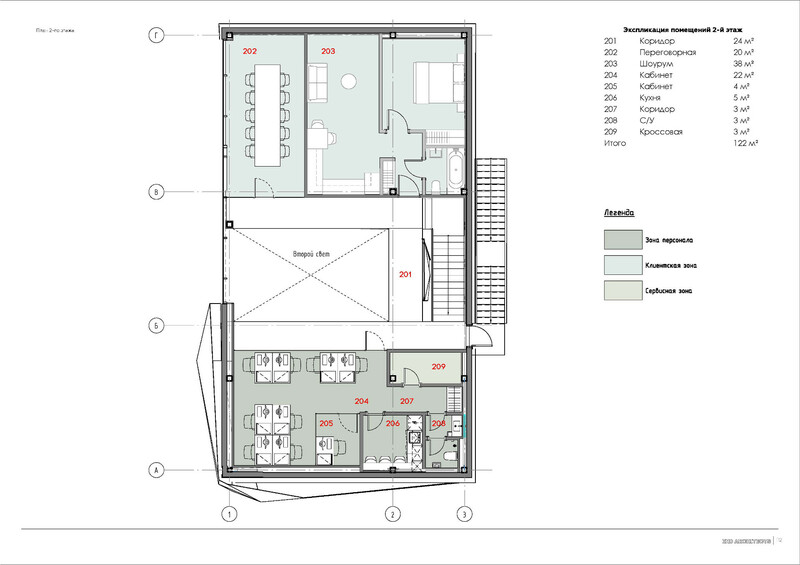 Architect: INDArchitects 105120, Moscow, Nizhnyaya Syromyatnicheskaya st.